No cover charge. Family-friendly (all ages admitted). No cover charge. Adults only (no one under 21 admitted). Sneakers' maximum capacity is 479, so arrive early to ensure you get a spot for Midnight Yell! 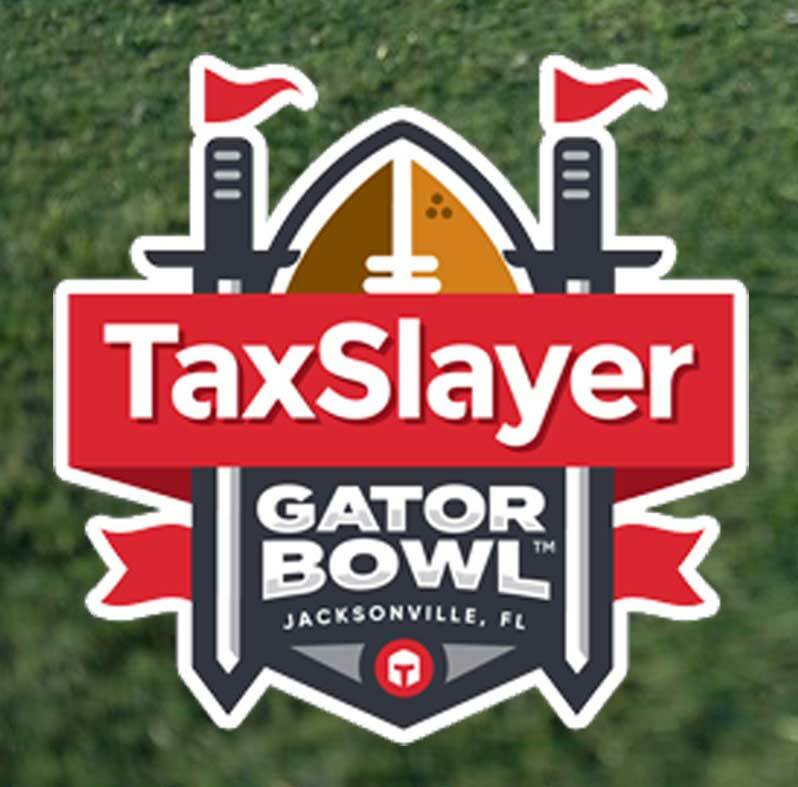 The All-Aggie Tailgate is sold out, but all fans with game tickets are invited to the "Happy Hour at the Taxslayer Tailgate Party" from 4:30 to 7:30 p.m. Dec. 31 inside TIAA Bank Field. Entrance to this event is free, but you MUST have a ticket to the game. Ticket-holders may enter this fan experience tailgate through Gate 1, at the southwest corner of the stadium (closest to parking lot J). Because the event is inside the stadium's security perimeter, you will not be allowed to re-enter if you exit. This event is not a traditional tailgating experience but is more like a "fan zone" with vendors, giveaways, and live shows, including a walk-through by both university bands. Food and drink will be available for purchase from vendors. The Association of Former Students is not an organizer of this event but will have a booth set up in the Vendor Village, so come by and say Howdy! All-Aggie Tailgate: Recreational Tennis Courts off Fourth St. and Peter Bryce Blvd. All-Aggie Tailgate: Corner of National Guard Rd. and Bluff Rd. Midnight Yell Practice: Miss. State Campus - Northeast corner of Stone Blvd. and Bully Blvd. All-Aggie Tailgate: Intramural fields on southeast corner of Stone Blvd. and Bully Blvd. Since opening over 35 years ago, C.C. Creations has grown into one of the largest custom screen printing and embroidery companies in the nation and is “Building Better Relationships” by providing a one-stop shop for all your custom apparel and promotional needs. In 2009, The Warehouse at C.C. Creations was added to the family of companies and has grown into the LARGEST selection of Aggie merchandise anywhere with over 20,000 square feet of shopping opportunity. With a constant flow of new and fresh designs and popular styles, The Warehouse has generated a loyal customer base of Texas A&M Aggies, friends, and fans. All-Aggie Tailgate at the Clayton W. Williams, Jr. Alumni Center.